But if conventional society can’t power down, maybe we need a Powershift. Two budding youth activists heading for the October Powershift meet-up in Pittsburg tell it like it is. Later we’ll hear Howard University Senior Brian Menifee, but Radio Ecoshock starts right now with this moving story from West Virginia. I’m Alex Smith. Adam Hall was born into West Virginia, near the coal mining operations. His father worked a lifetime for a subsidiary of Peabody Coal. That company was sold, renaming itself “Patriot” – and doomed to failure. The workers lost their pensions, Adam says, including his father. Adam also mourns the loss of the mountains he grew up with. Many have been blasted away and levelled in “mountain-top-removal” mining for coal. Natural water systems were filled with rubble, and drinking water for many residents was ruined (with no compensation). All this took Adam Hall, a veteran who rebelled against the military, to the steps of Peabody Coal headquarters. His weapon was a bull-horn. It’s a powerful sad story about the true cost of coal, and true grit to fight it. In our interview Adam Hall recommended about Iheartmountains dot org. He meant Ilovemountains.org. Find out more about Adam’s inspiration, long-time mountain protector Larry Gibson at www.mountainkeeper.org. If you want to become a coal activist, Adam says this is a good place to start: RAMPS (Radical Action for Mountain Peoples’ Survival) is where you can get your action on. That’s rampscampaign.org. We’ve all been told hydraulic fracturing – fracking – will make the United States into the new Saudi Arabia. The UK, Poland, China and probably everywhere else, will get new energy riches too. Already, American oil and gas production have increased for the first time in decades. Has fracking proved the Peak Oil theorists wrong? Here to help us is one of the best known writers on energy depletion. In 2003, Richard Heinberg published one of the first big books on the subject: ” The Party’s Over: Oil, War, and the Fate of Industrial Societies”. He’s been publishing the popular “Museletter” since 1992. Now Richard Heinberg returns to Radio Ecoshock with his answer to fracking, the new book “Snake Oil, How Fracking’s False Promise of Plenty Imperils Our Future“. Read the introduction to the book here. A lot of this new book by Heinberg is about the economic illusion behind the fracking bandwagon. Beyond the energy companies large and small, who is making big money from the fracking boom? Mainly Wall Street Investment Bankers. They can make money betting on both the success and failures of fracking companies. Some of the gas frackers are actually losing money, with the high cost of drilling a fracking well (up to $10 million for one well) and the low price for natural gas. Of course all the companies are on what energy specialist David Hughes calls “the treadmill to Hell.” The fracked wells stop producing commercial quantities very fast, in as little as a couple of years. So thousands, tens of thousands, hundreds of thousands of new fracking wells must be drilled just to keep up production. Heinberg says much of his book explains a study done for the Post Carbon Institute (where Heinberg is a Senior Fellow) by the Canadian oil geologist David Hughes. That big report, based on industry drilling info on 60,000 fracked wells – is called “Drill Baby Drill“. Find it here. I wish more people would talk about the sinful idiocy of pushing tons of man-made toxic chemicals into the deep ground ecology. There is life down there, plus important networks of water. Haven’t humans just found a new way to expand our sphere of pollution? Will those million old wells leak, or create unwanted pathways for underground change? Richard Heinberg is the long-time author of the online journal “The Museletter“, he’s been the voice of the Peak Oil movement with books like “The Party’s over” and “Peak Everything”. We’ve been talking about his latest of ten books, “Snake Oil, How Fracking’s False Promise of Plenty Imperils Our Future”. It’s a good read, packed with facts we all ought to know. You can go to our web site at ecoshock.org and search “Heinberg” to find more than a half dozen speeches and interviews by Richard. BRIAN MENIFEE – ECO-JUSTICE IN WASHINGTON D.C.
We find Brian Menifee already a leader in Washington DC as a Howard University senior. When Brian talks about the environment, he always talks about justice too. Take it from me Brian, once your become a trouble-maker at a young age, it never leaves you. You will never accept bad things going on. You will always be looking for justice. Are you ready? Brian Menifee says he is. Check it out – it’s radio you won’t get anywhere else. WE NEED TO VOTE ON CLIMATE ACTION! We need a chance to vote about climate action – that never happens. And every human alive and breathing should get that vote. Give us all a vote on what we really want. Doesn’t that need to happen? Why do we always have to vote for the least-worst candidate, on a basket of issues. If humankind’s existence is at stake, let’s vote on what we want done to save the climate. Directly. Join us next week for more Radio Ecoshock – in our first broadcast from the mountains. 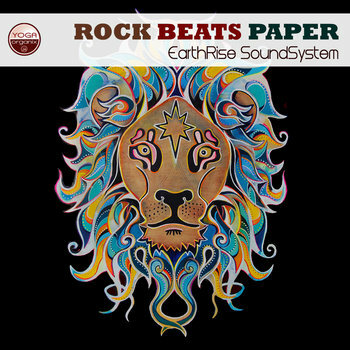 All our music this week is from the new album “Rock Beats Paper” by Earthrise SoundSystem from Black Swan Sounds. If you know a station that should be carrying Radio Ecoshock, write me. The address is radio at ecoshock dot org. Download all our past programs as free mp3s at our web site, ecoshock.org. To help keep this program going, please consider a monthly membership. Check out this page for details. I’m Alex Smith. Thank you for your support, and a special thanks for caring about your world.